Without censorship, things can get terribly confused in the public mind. I do not believe that the men who served in uniform in Vietnam have been given the credit they deserve. It was a difficult war against an unorthodox enemy. 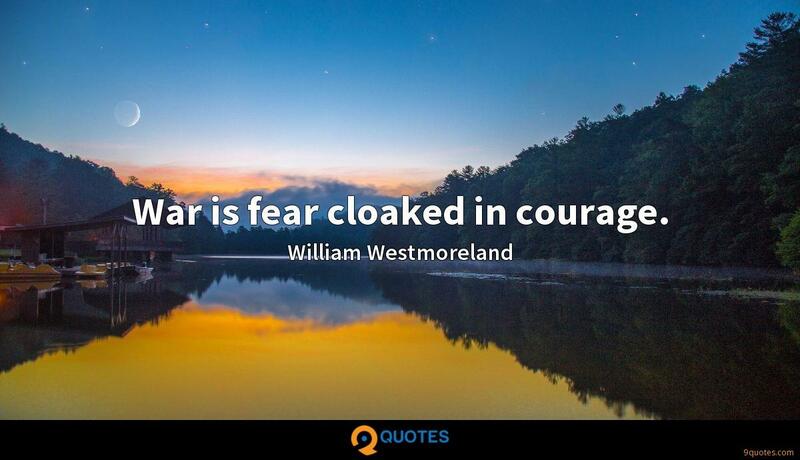 War is fear cloaked in courage. 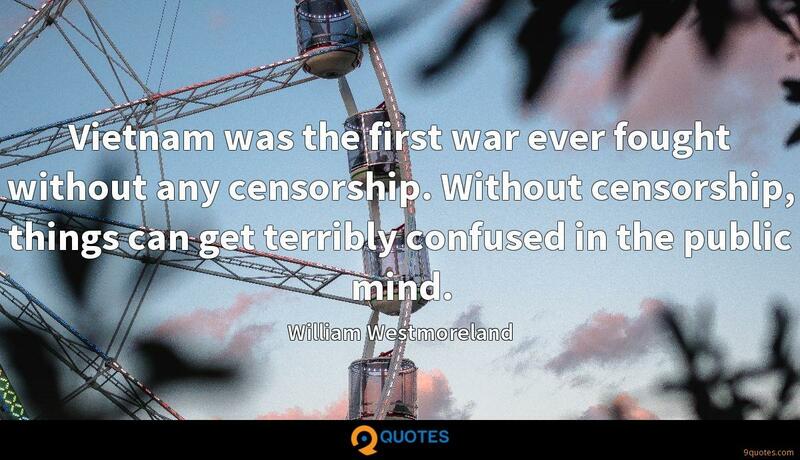 Vietnam was the first war ever fought without any censorship. 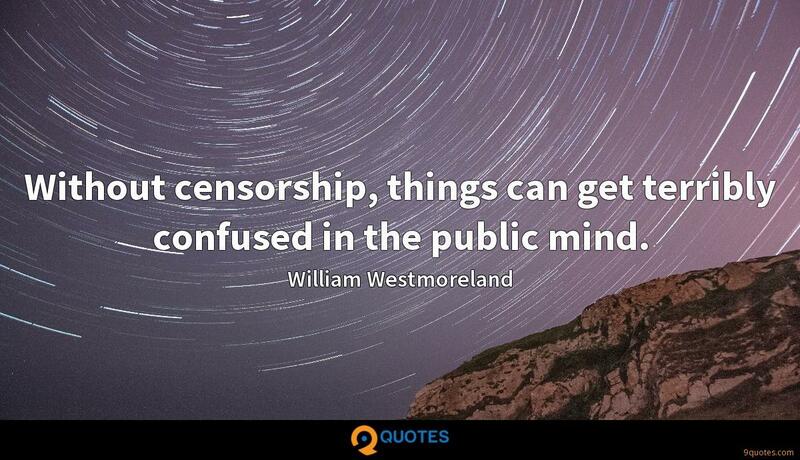 Without censorship, things can get terribly confused in the public mind. 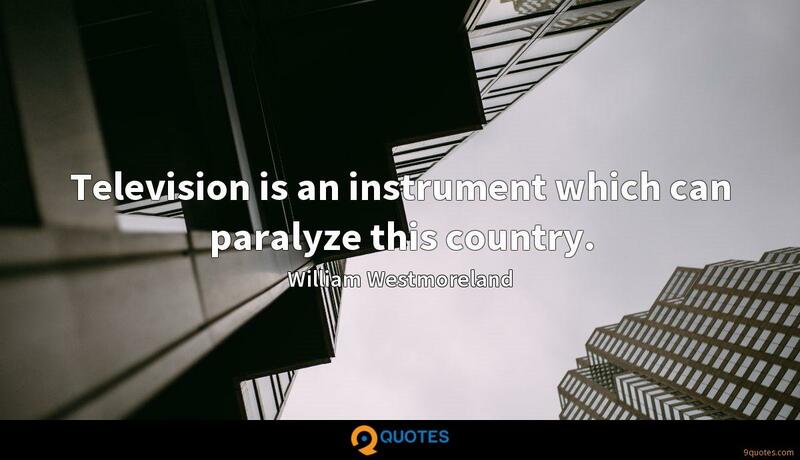 Television is an instrument which can paralyze this country. 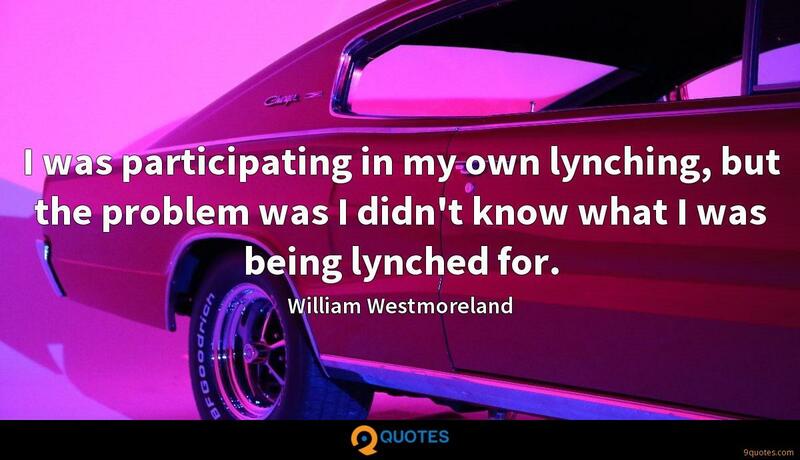 I was participating in my own lynching, but the problem was I didn't know what I was being lynched for. The military don't start wars. 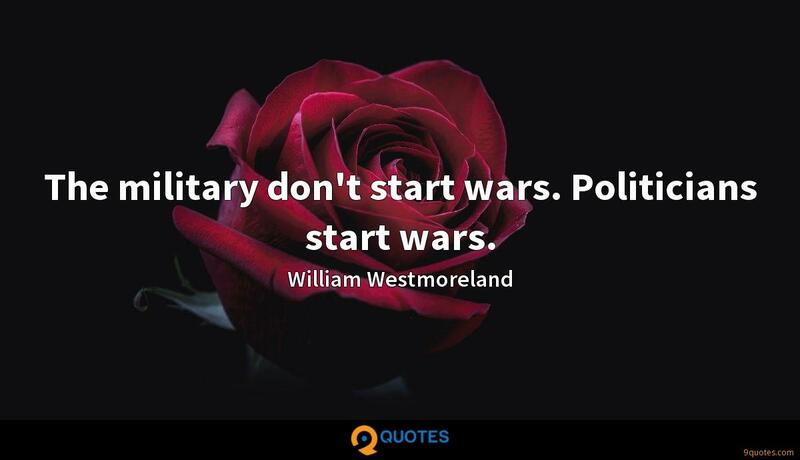 Politicians start wars. 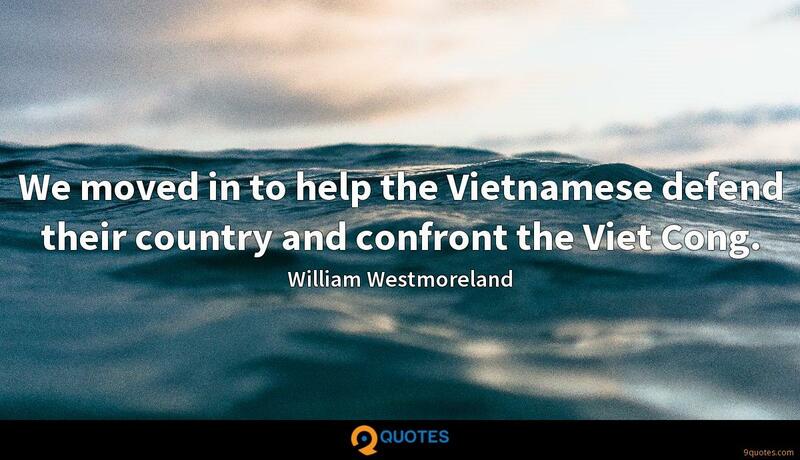 We moved in to help the Vietnamese defend their country and confront the Viet Cong. 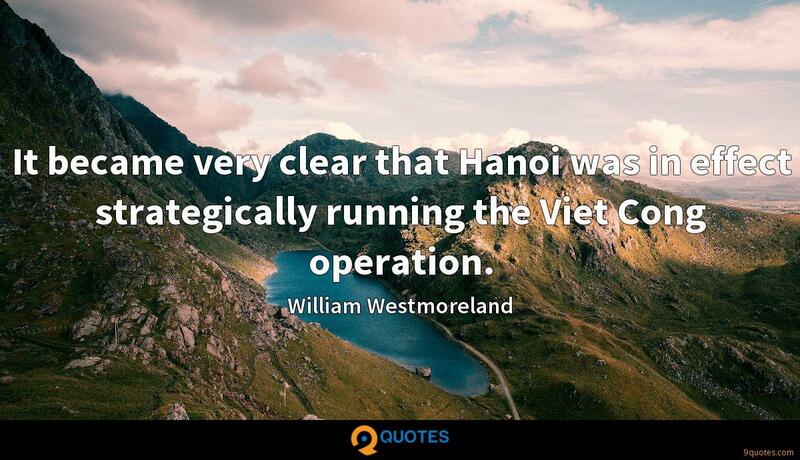 It became very clear that Hanoi was in effect strategically running the Viet Cong operation. 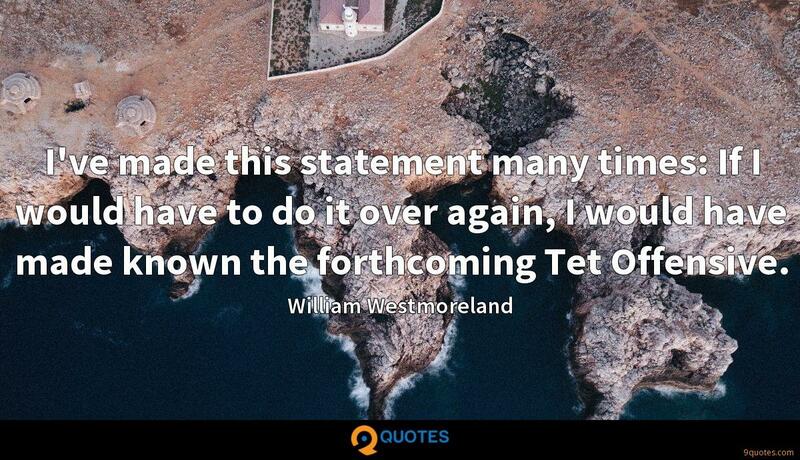 I've made this statement many times: If I would have to do it over again, I would have made known the forthcoming Tet Offensive. 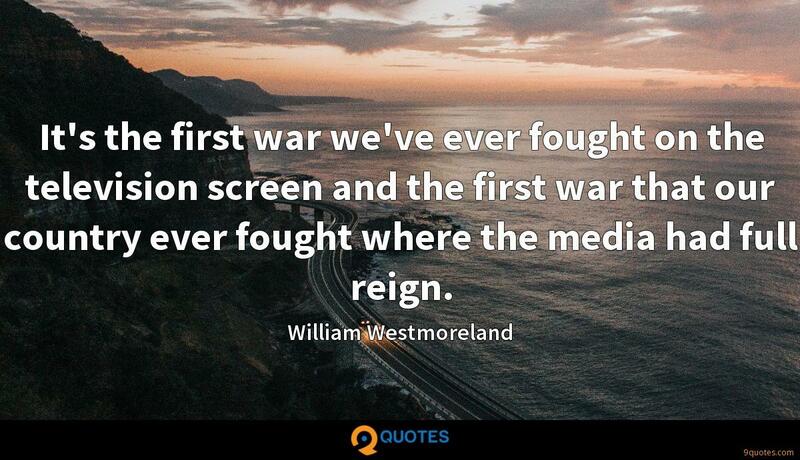 It's the first war we've ever fought on the television screen and the first war that our country ever fought where the media had full reign. 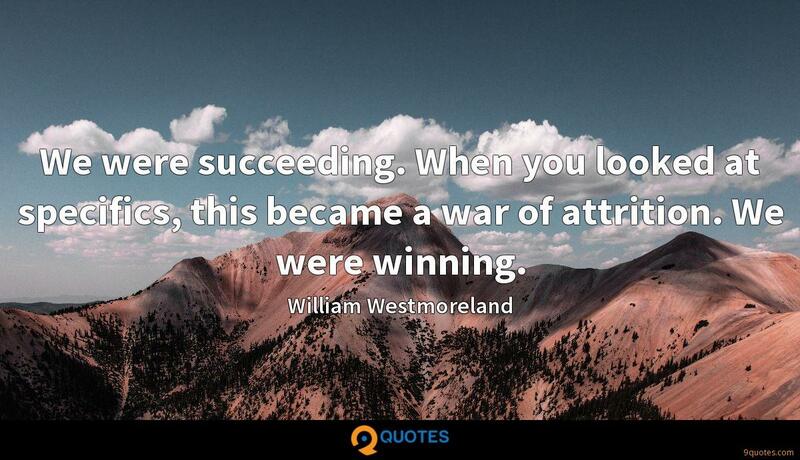 We were succeeding. When you looked at specifics, this became a war of attrition. We were winning. 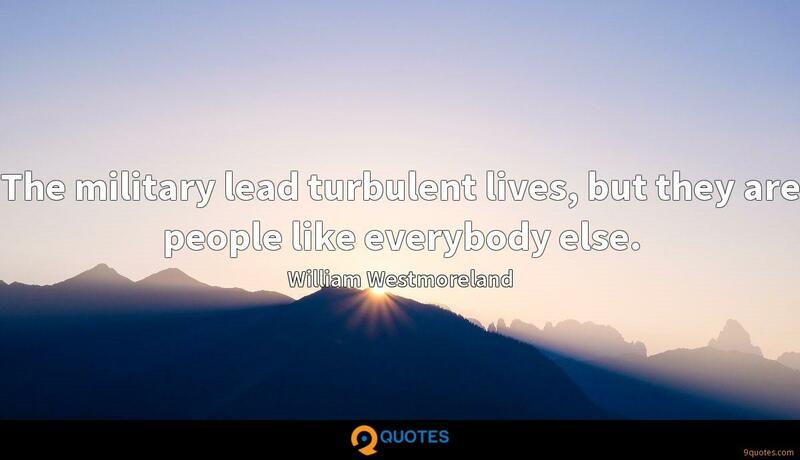 The military lead turbulent lives, but they are people like everybody else. 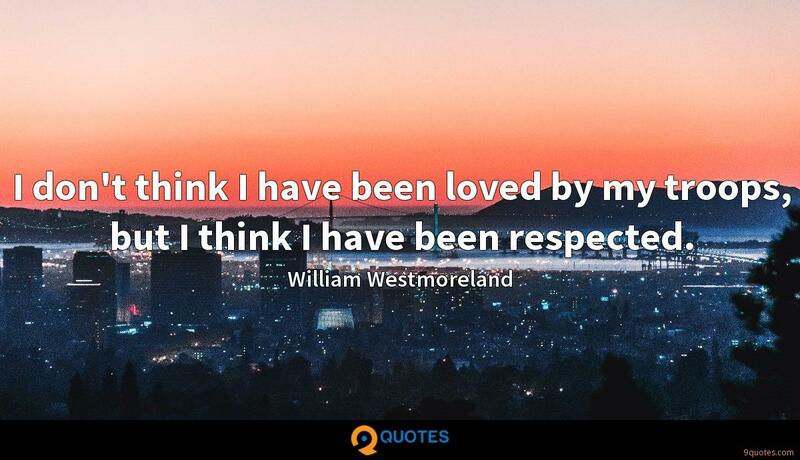 I don't think I have been loved by my troops, but I think I have been respected. 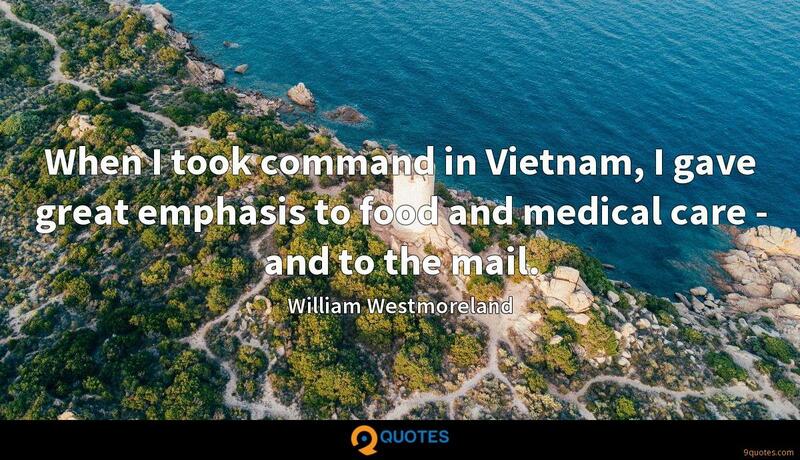 When I took command in Vietnam, I gave great emphasis to food and medical care - and to the mail. 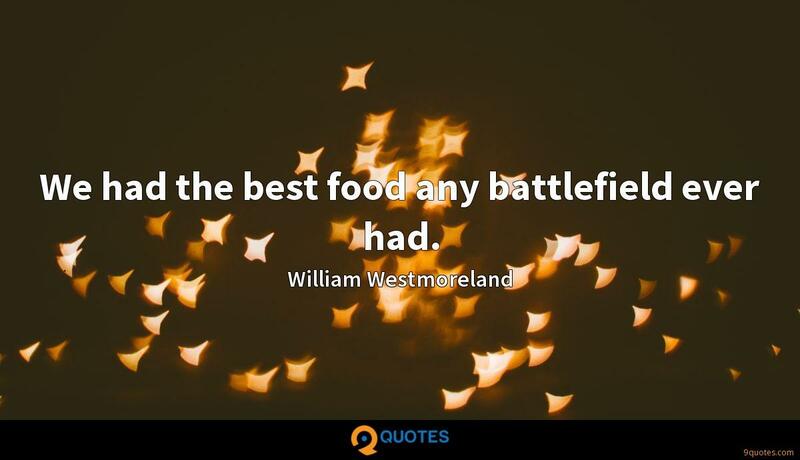 We had the best food any battlefield ever had. President Johnson did not want the Vietnam War to broaden. 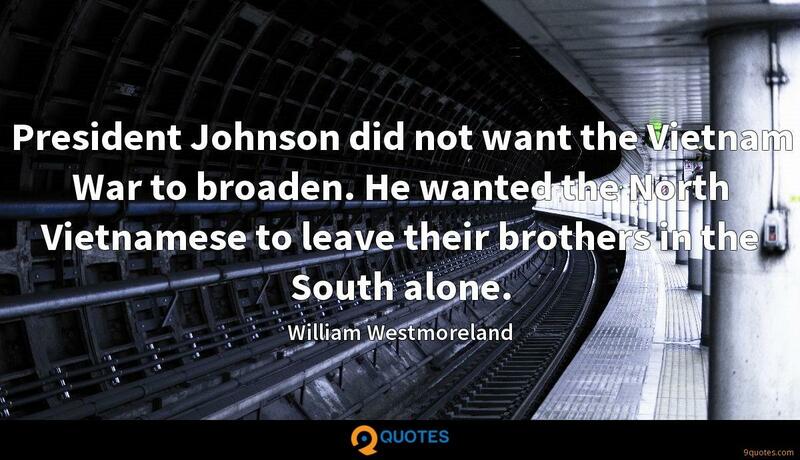 He wanted the North Vietnamese to leave their brothers in the South alone. 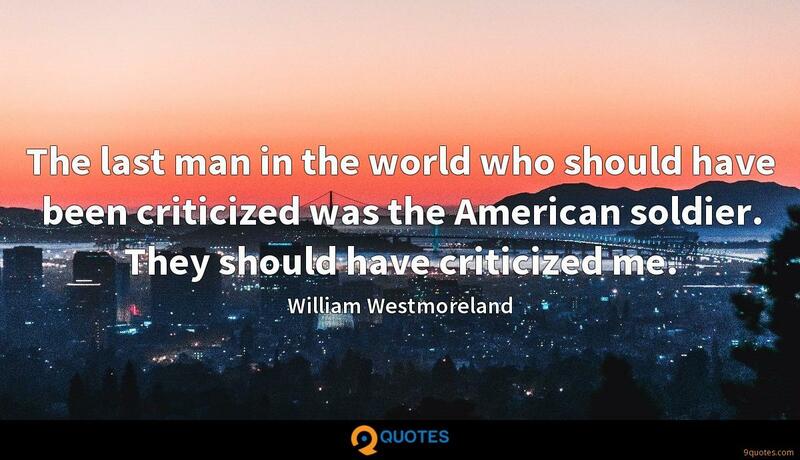 The last man in the world who should have been criticized was the American soldier. They should have criticized me. 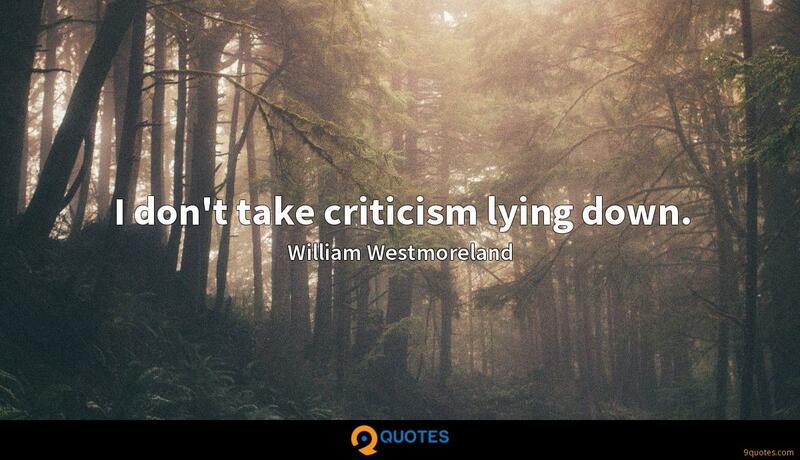 I don't take criticism lying down. I haven't yet figured out how I was made first captain, because I was not an outstanding student. 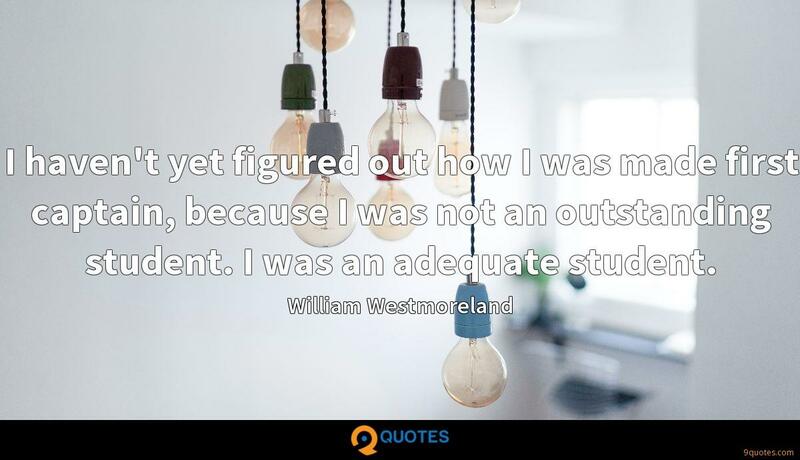 I was an adequate student. 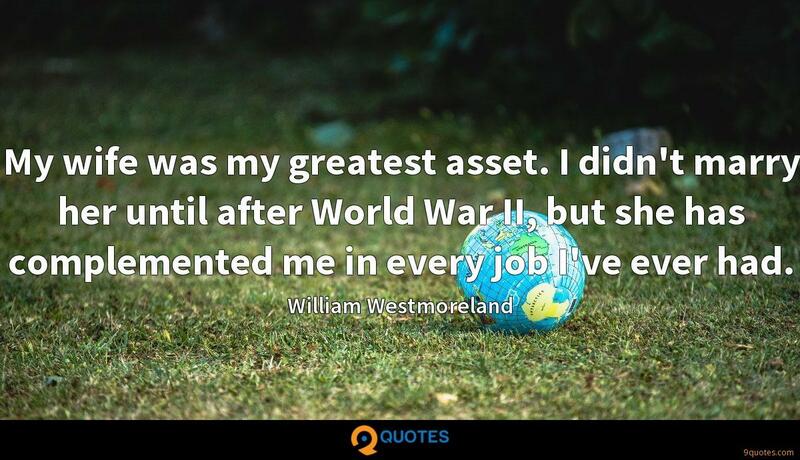 My wife was my greatest asset. I didn't marry her until after World War II, but she has complemented me in every job I've ever had. 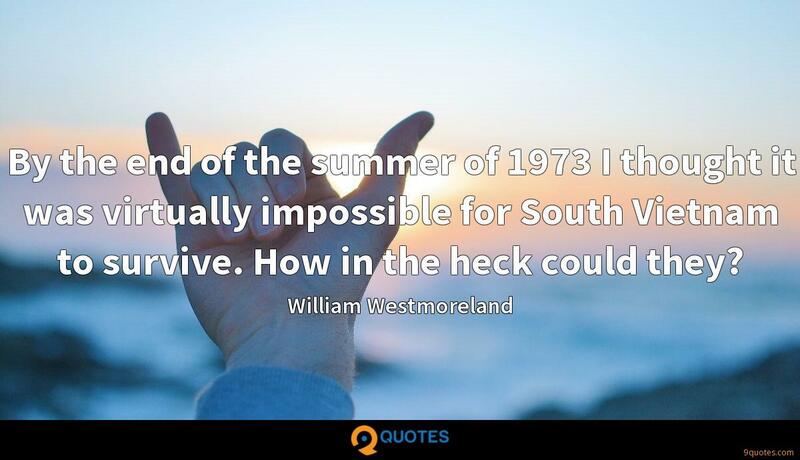 By the end of the summer of 1973 I thought it was virtually impossible for South Vietnam to survive. How in the heck could they? Militarily, we succeeded in Vietnam. 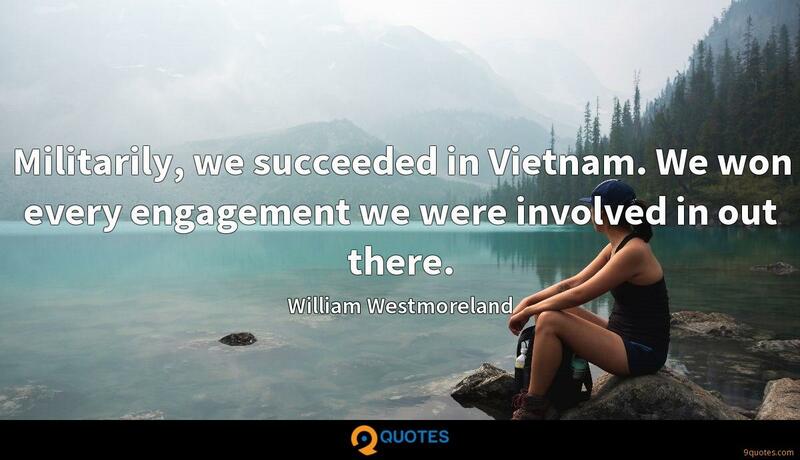 We won every engagement we were involved in out there. 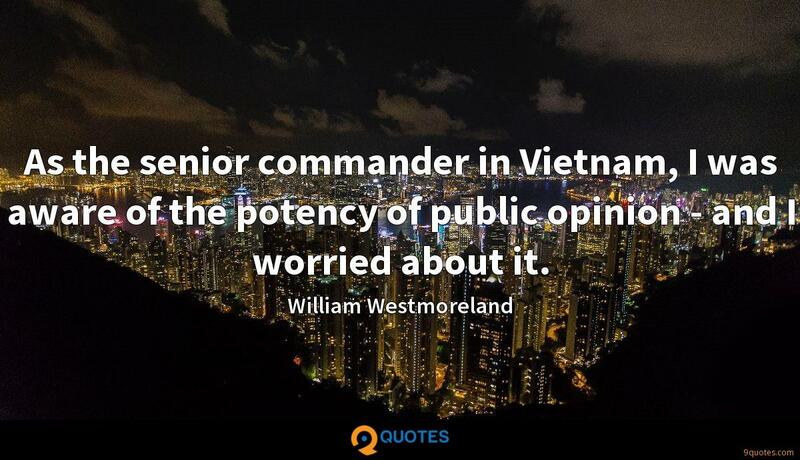 As the senior commander in Vietnam, I was aware of the potency of public opinion - and I worried about it. 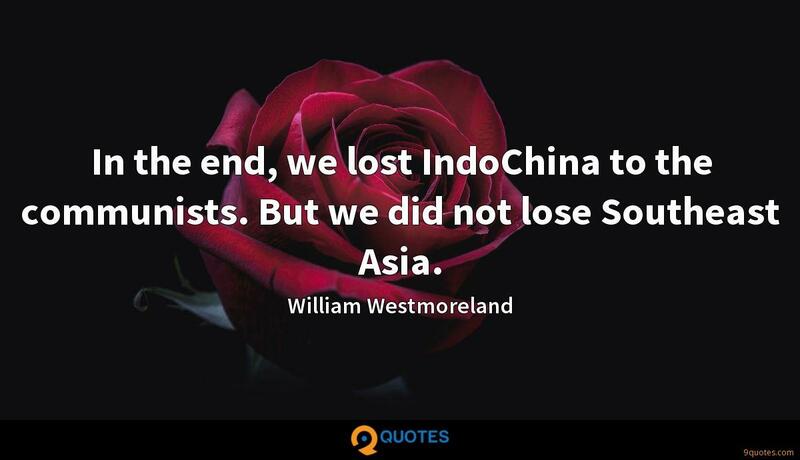 In the end, we lost IndoChina to the communists. But we did not lose Southeast Asia. 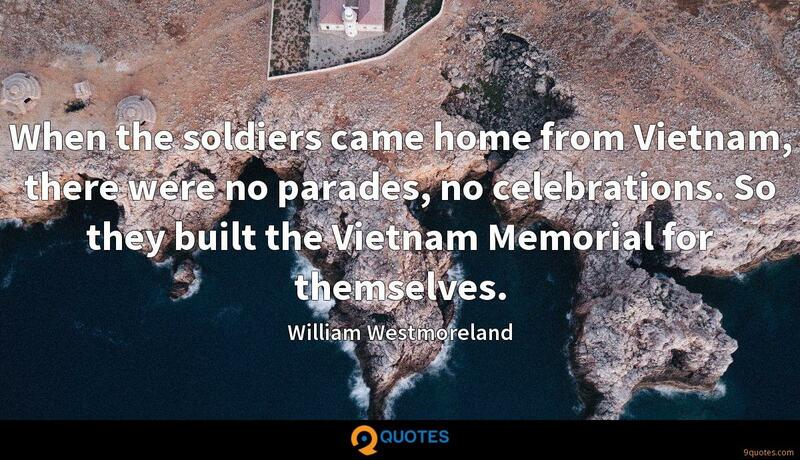 When the soldiers came home from Vietnam, there were no parades, no celebrations. So they built the Vietnam Memorial for themselves. The Vietnam memorial is a masterpiece. 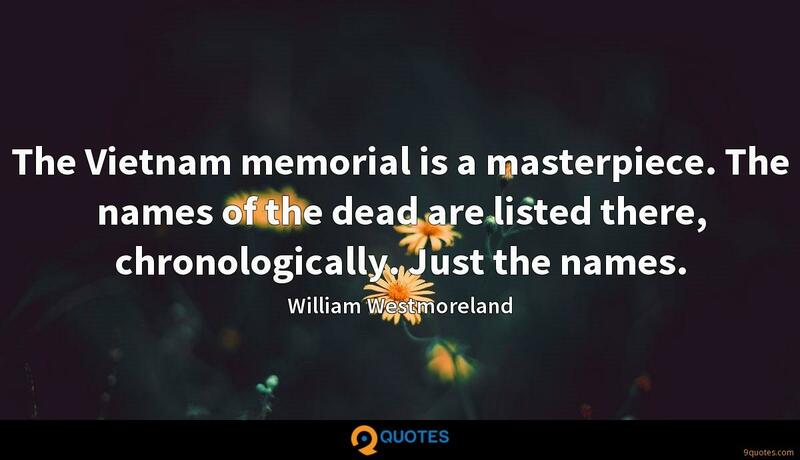 The names of the dead are listed there, chronologically. Just the names.